This post has already been read 10688 times! 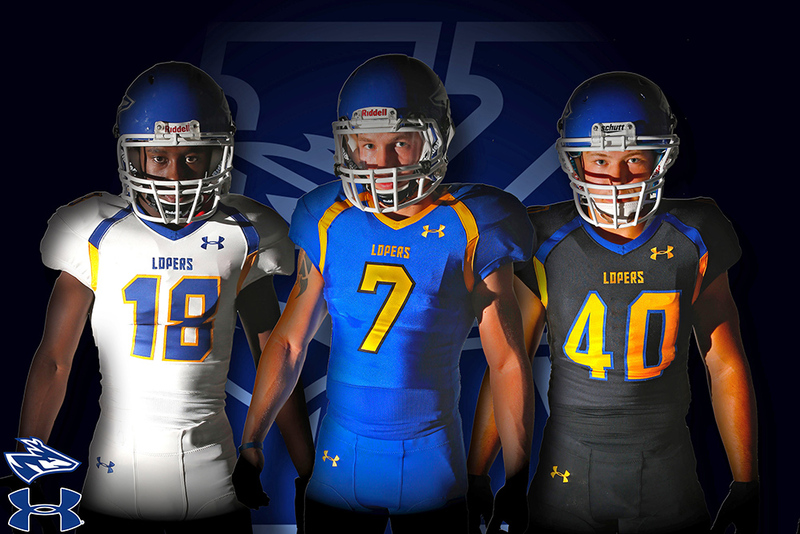 KEARNEY – A new look is coming to Loper Athletics this year. 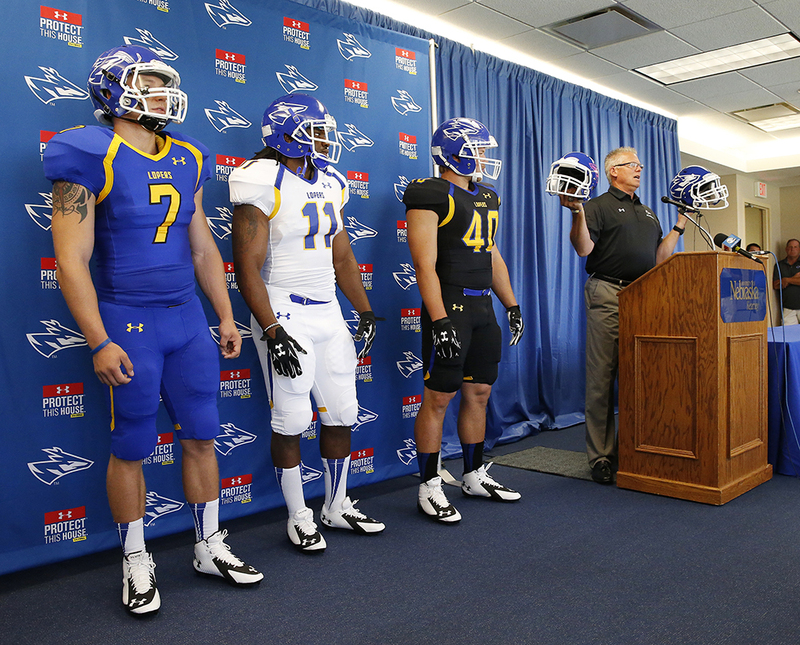 On Monday, the University of Nebraska at Kearney unveiled its new Under Armour football uniforms for the 2014 season. 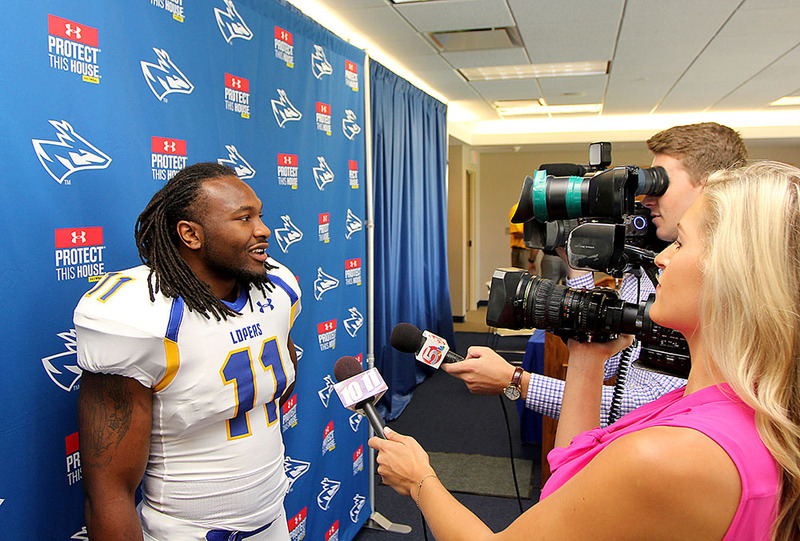 “It’s been really fun seeing the facial expressions of our student athletes when they see the new uniforms. 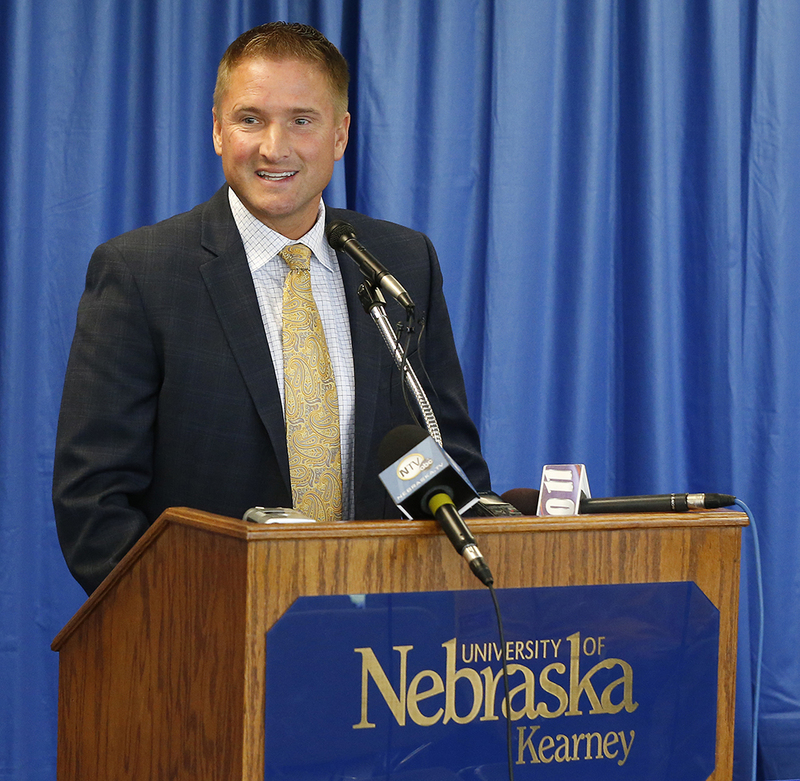 They are anxious to wear the 100 percent custom-designed apparel while representing our university,” said UNK Athletics Director Paul Plinske. 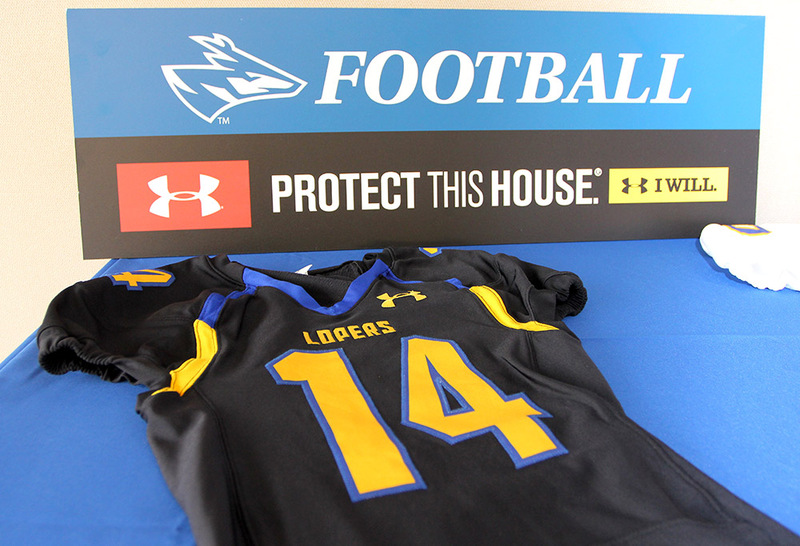 UNK’s new home jersey is blue with gold numbers and letters outlined in black. 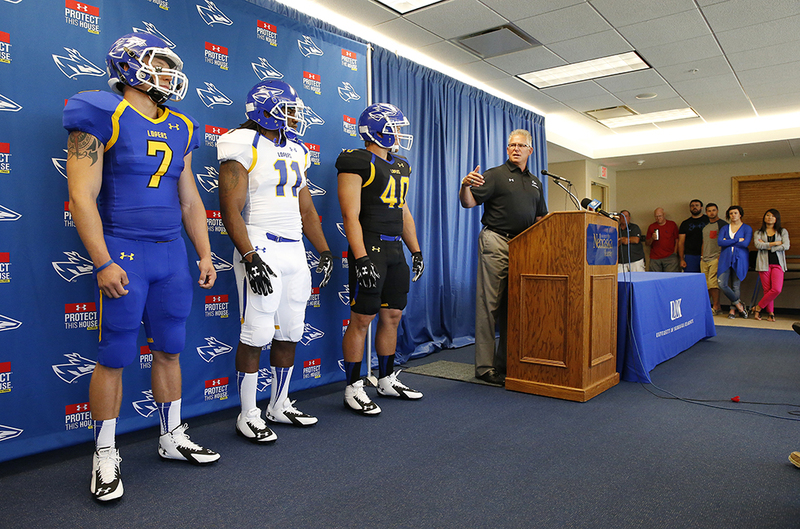 The away uniform is white with blue numbers and letters outlined in gold, and blue and gold trim under the arms and highlighting the neckline. 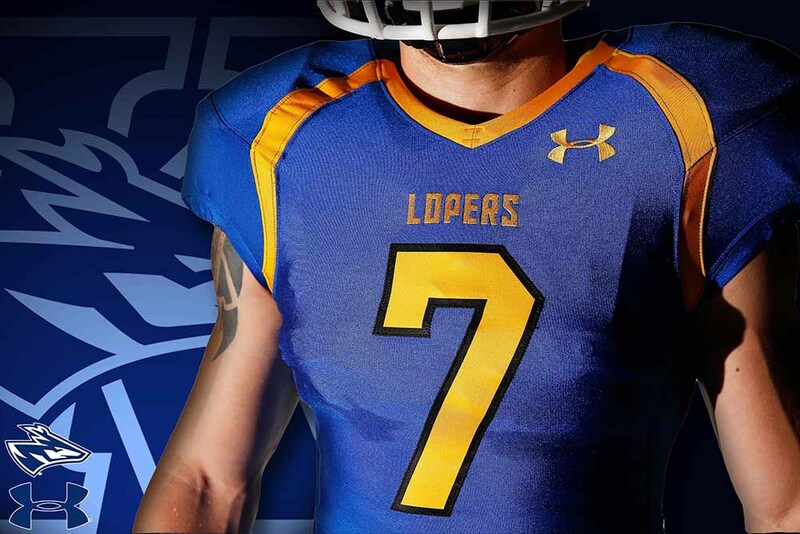 Both jerseys have “Lopers” across the chest. 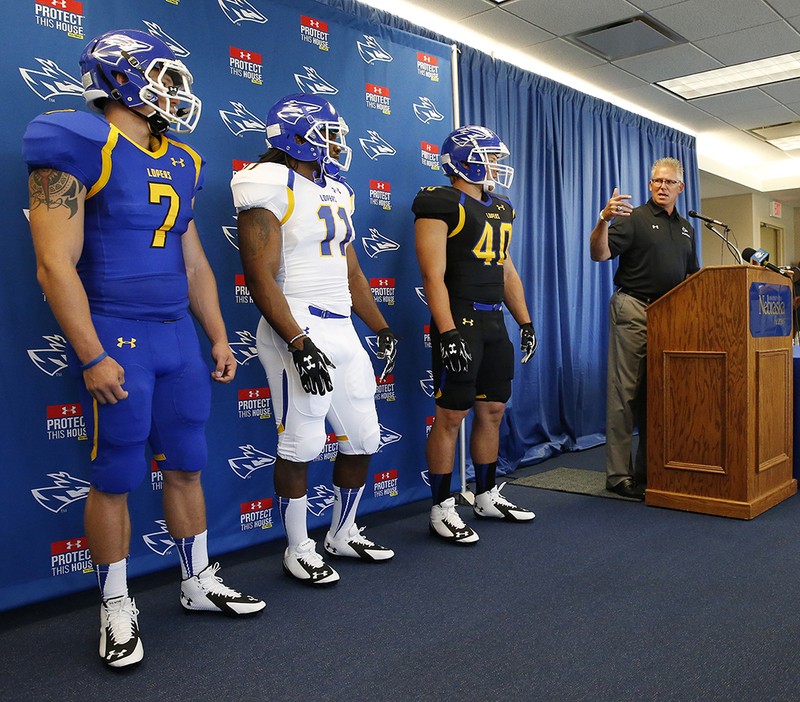 A third “alternate” jersey is black with gold letters and numbers outlined in blue. 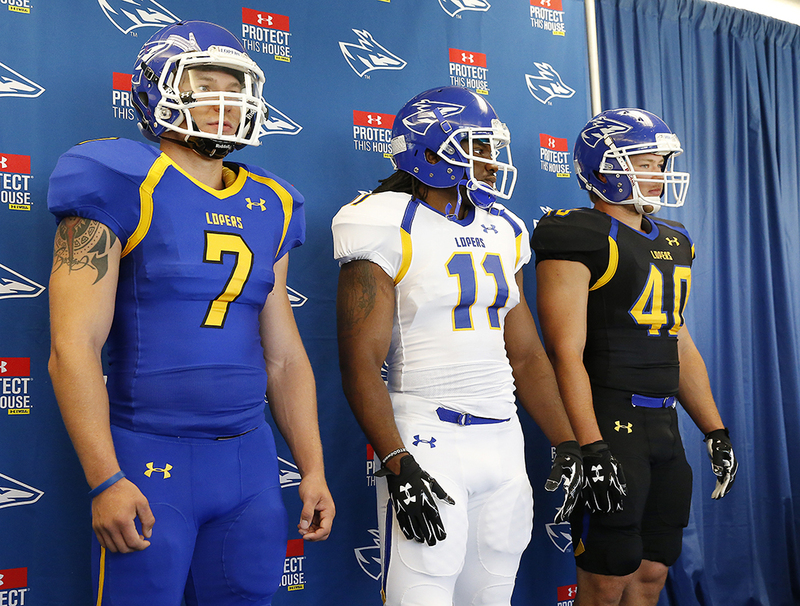 It also features “Lopers” across the chest and includes blue and gold accents under the arms and around the neckline. 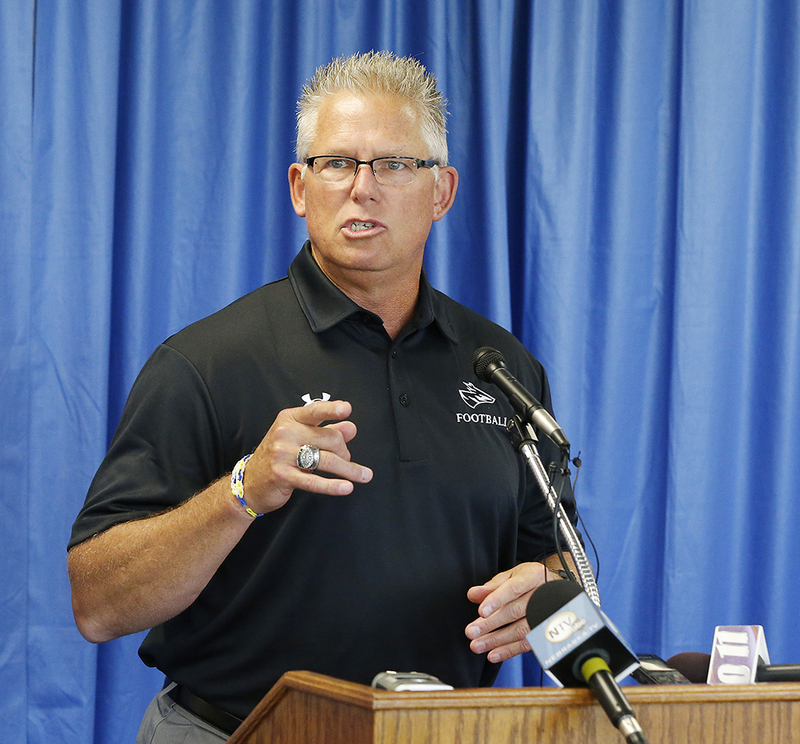 Quarterback Bronson Marsh, linebacker Tyke Kozeal and running back Romero Cotton wore the new uniforms at Monday’s news conference. 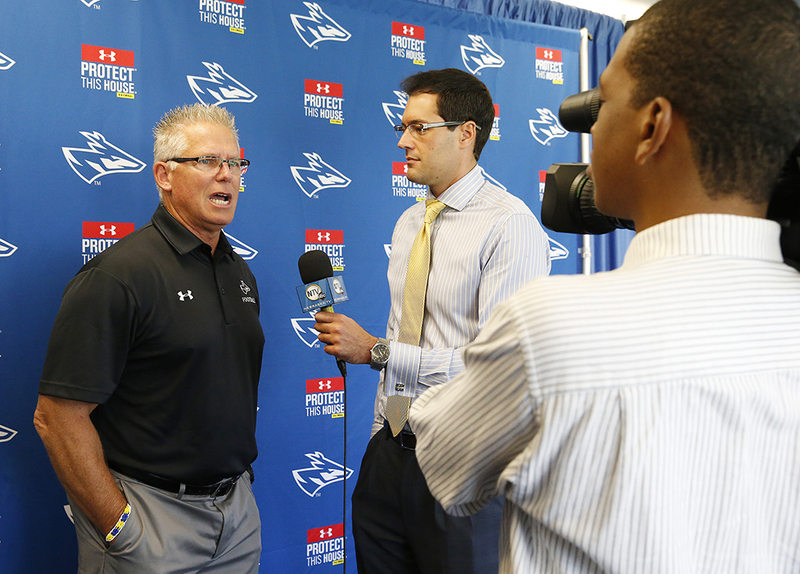 In January, UNK announced its partnership that made Under Armour the official outfitter of Loper Athletics. 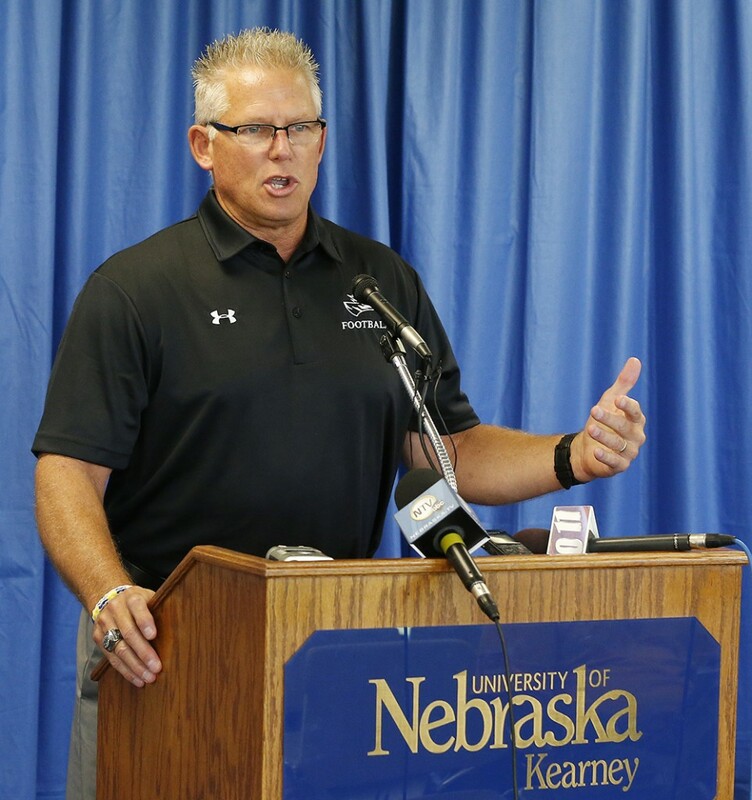 The multi-year agreement – which went into effect July 1 – gives Under Armour the right to provide on-field and training gear to UNK’s 17 varsity sports. 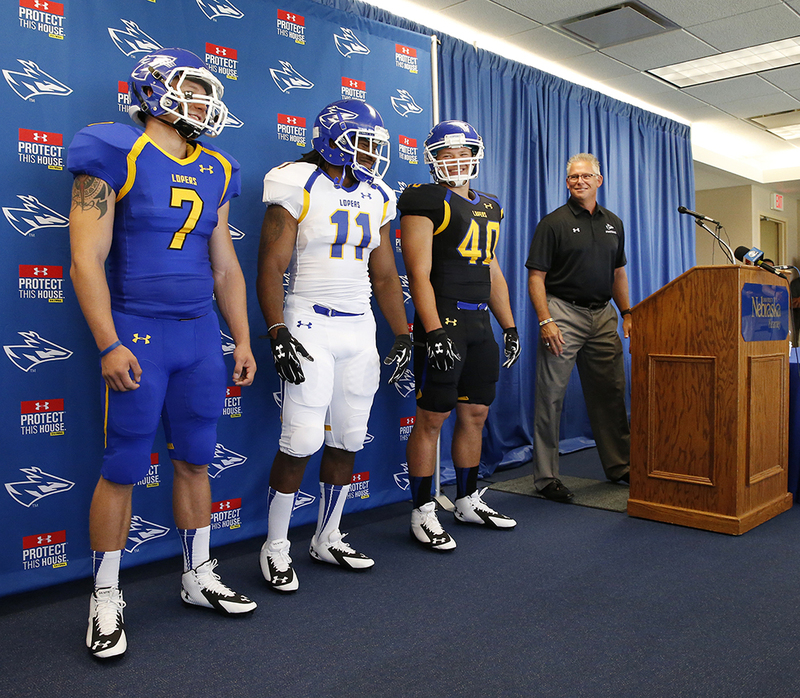 Under Armour also is outfitting UNK coaches and members of the athletic department staff. 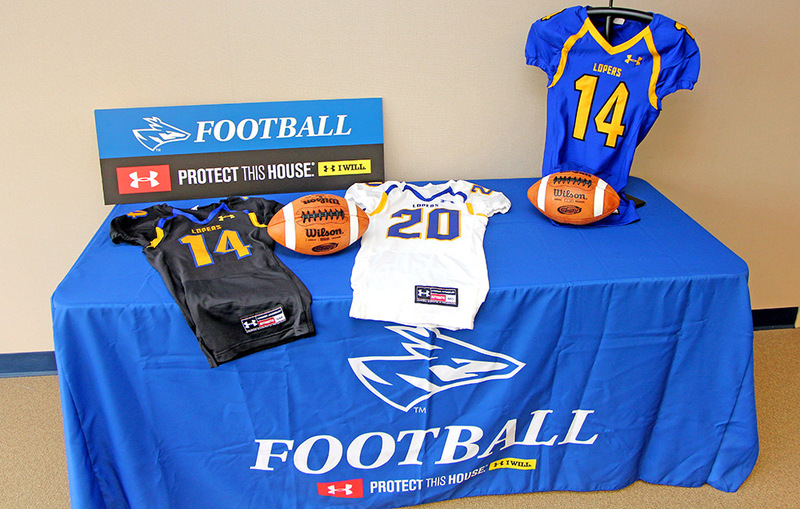 UNK athletes will receive their new Under Armour practice gear when they report for the start of practices. 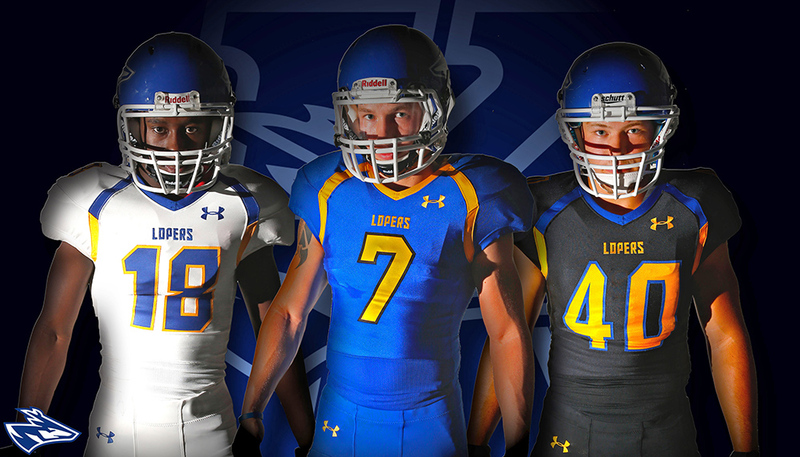 Under Armour apparel for Loper fans is also available for purchase at Antelope Bookstore on campus. 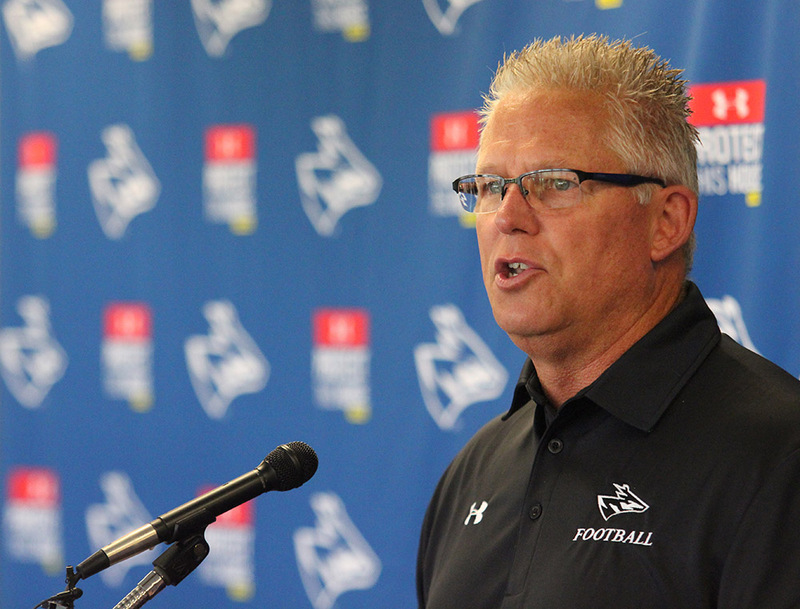 Loper football coaches, along with Plinske and Assistant Athletic Director for External Affairs Shawn Fairbanks, worked with Under Armour representative Ryan Johnson in choosing the new look. 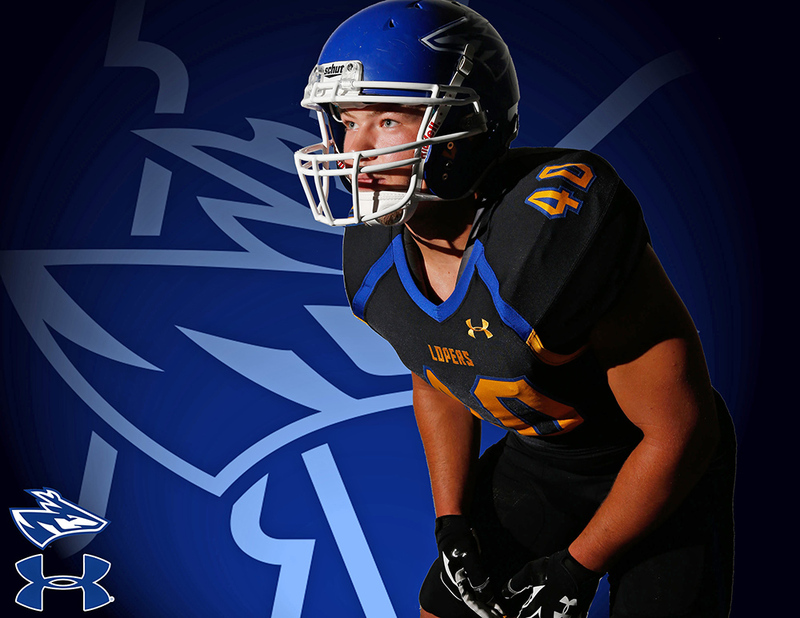 UNK is not changing the look of its helmet. 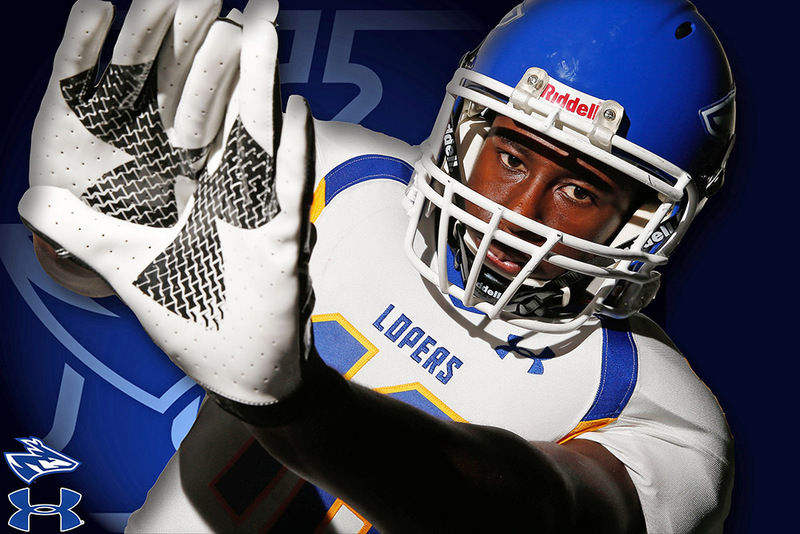 It will continue to use the blue helmet and large white Loper head decal on each side. 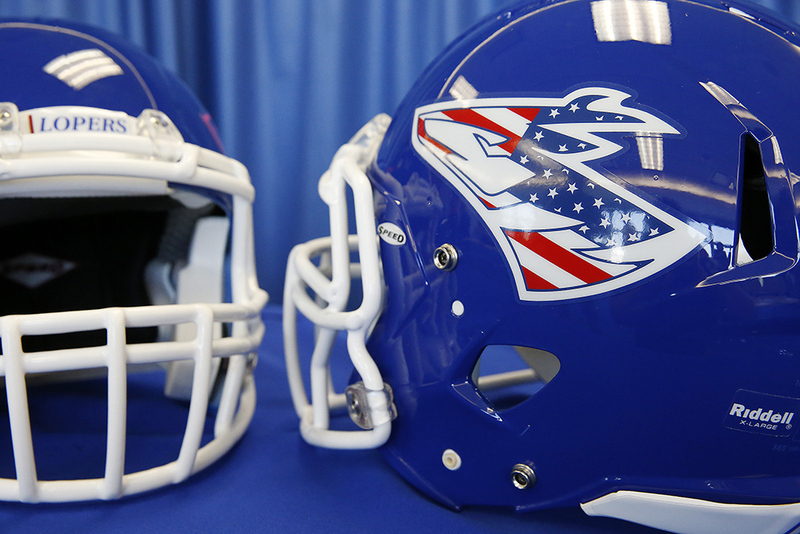 However, the team will implement some new decals for some games this season, including a pink helmet decal for its Oct. 18 “Think Pink” game, and a red, white and blue version for its Nov. 1 “Service/Military Appreciation” game. 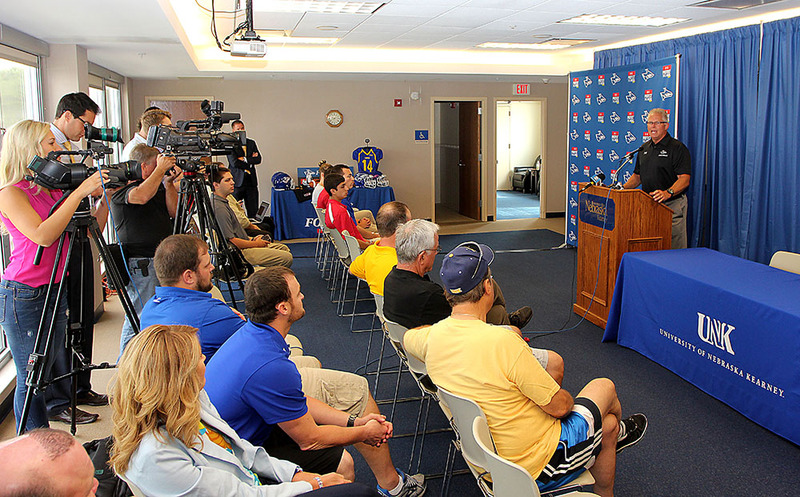 UNK opens its season Sept. 4 at defending national champion Northwest Missouri State. 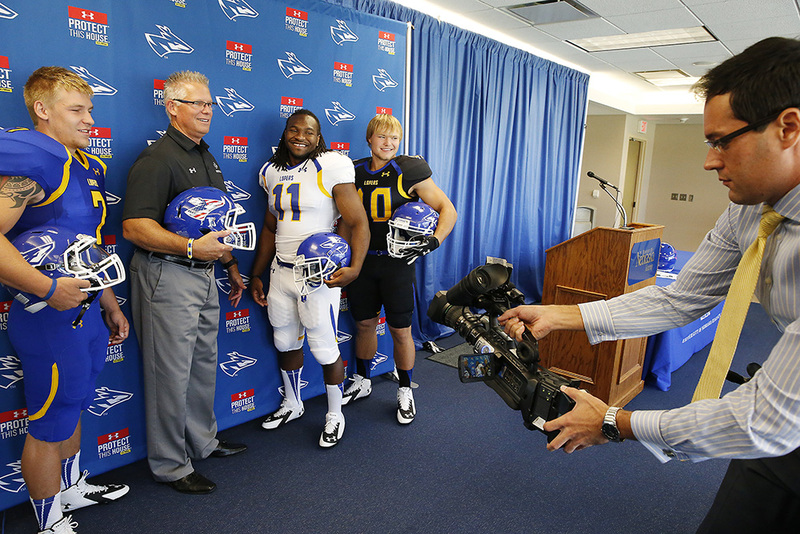 The Lopers’ home opener is Sept. 11 against Washburn University. 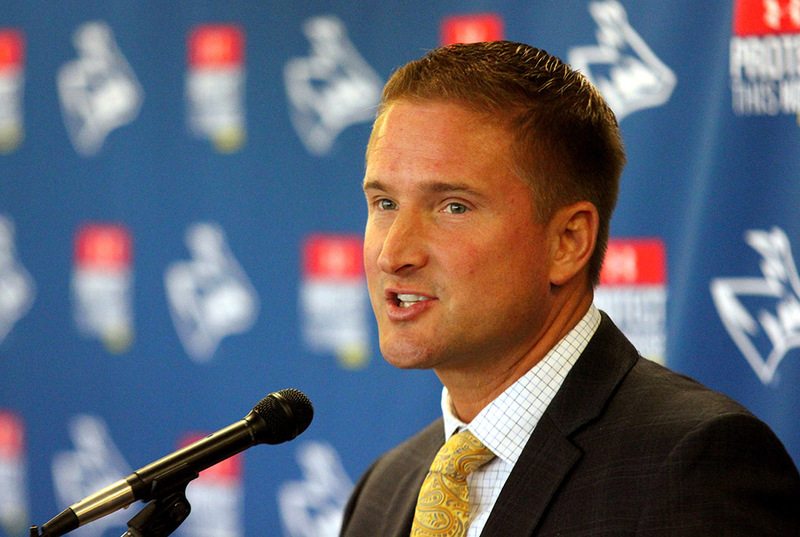 Under Armour (NYSE: UA), the originator of performance footwear, apparel and accessories, revolutionized how athletes across the world dress. 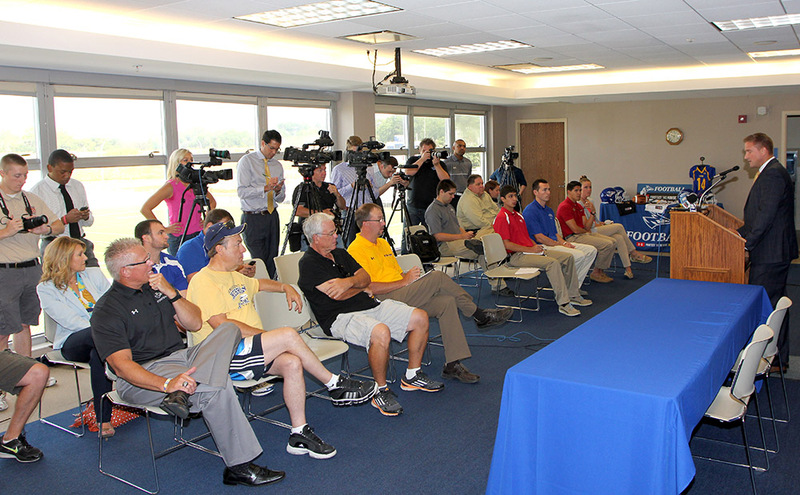 Designed to make all athletes better, the brand’s innovative products are sold worldwide to athletes at all levels. Under Armour’s wholly owned subsidiary, MapMyFitness, powers one of the world’s largest Connected Fitness communities. The Under Armour global headquarters is in Baltimore, Maryland. For further information, please visit the Company’s website at www.uabiz.com.